Columbus, in Columbus-Muscogee County, has seen a recent push to include bicyclists as an important part of the city's transportation and health planning. Under the leadership of Mayor Theresa Thomlinson, the first new bike lanes in Columbus were added in 2015 on Linwood Blvd between 6th Avenue and 10th Avenue, and others are planned for Hilton Avenue and Hamilton Road. The city has a well-known rails-to-trails project, the Columbus Fall Line Trace, which runs from the 14th Street pedestrian bridge in Uptown to Psalmond Road Recreation Center in Midland. When used with the Chattahoochee Riverwalk, cyclists can enjoy a 26-mile ride from Fort Benning to Columbus. Cycling trails are also available in Flatrock Park. 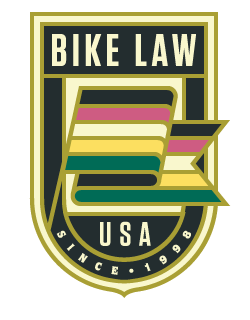 If you need legal help for injuries from a Columbus bicycle accident, or if you have questions about Georgia's bicycle laws, turn to Bike Law Georgia attorneys Bruce Hagen and Ken Rosskopf. Bruce and Ken are avid bicyclists and dedicated advocates for Georgia bikers. To get started with Georgia Bike Law, please complete our Bicycle Accident Report Form. Advocacy Group: Bicycle Columbus is a non-profit organization “dedicated to improving conditions and providing a voice for people who bicycle for transportation and recreation in Columbus, Georgia.” The group promotes cycling related events, including rides, races, seminars, charity events, and safety classes. Bicycle Columbus has been a part of Bike to Work Day and Safe Routes to School initiatives. Columbus bike shops we’ve used: Ride On Bikes and the Bike Shop of Columbus. “Columbus has really seen a rebirth in the last 10 or so years, and bicycles have been a big part of that. It’s right along the Chattahoochee River, and there are great bicycle trails there, and also inland from the river. The city itself has new bike lanes, and lots of great shops, restaurants and coffee shops.